What's up, good citizens of the internet? Today I thought I'd do a review on a type of product I'm perhaps a bit too obsessed with... facial mists. Some people are addicted to lip balm, I'm addicted facial mists. Well, and lip balm. Well, and maybe coffee too. There's definitely such a thing as coffee-flavored lip balm, but is there a coffee-scented facial mist? My mind is racing. OK, so before I get into the specifics of these sprays, I'd like to briefly outline what I use mists for and what I expect them to do. That way we can measure the Reviva sprays against that criteria to see if they're up to snuff. 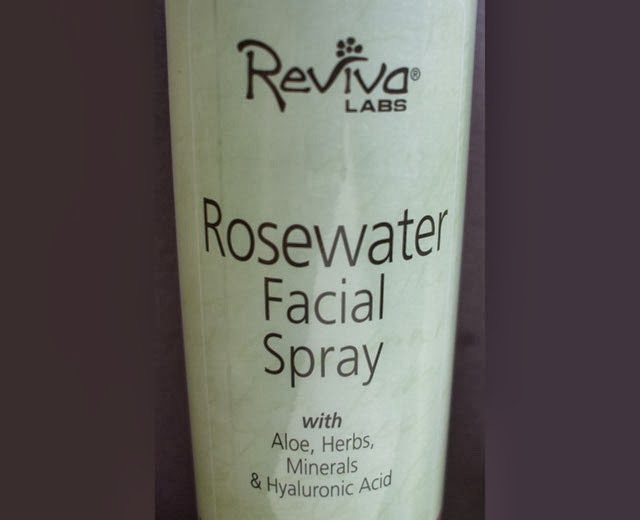 Natural extract of roses makes this Facial Spray very refreshing and stimulating. Helps moisturizers and night creams have better effects in making skin look better with makeup, or "setting" makeup; you'll find dozens of other uses. For male and female athletes, this mist is a great refresher and cleansing aid. Distilled rosewater, glycerin, aloe juice, polysorbate 20, hyaluronic acid, tocopheryl acetate, vegetable oil & vitamin a (retinyl palmitate) and vitamin b (ergocalciferol), fennel (and) hops (and) balm mint (and) mistletoe (and) maticaria (and) yarrow extracts, mallow (and) ivy (and) cucumber (and) sambucus and arnica extracts, trace mineral concentrate, potassium sorbate, sodium benzoate, citric acid. While the label doesn't come right out and directly say that this can be used as a toner or softener, the line "Helps moisturizers and night creams have better effects in making skin look better with makeup" basically says it. Well, I think so. There are several good moisturizing ingredients on the list, namely glycerin, aloe and hyaluronic acid. So in the hydrating/toning department, this works nicely. The mist does create a refreshing/cooling sensation immediately after being sprayed on the skin, but I don't know about spraying away perspiration (where are we spraying it away to?) This product has a lovely rose scent, so I suppose you could always use it to mask your stinkiness. As for setting makeup, I'm afraid that this mist is a bit too heavy and wet for that (in my opinion). That's forgivable though, especially since I discovered another use for it - as a hair detangler! Spritzing my hair with this a couple of times right after I get out of the shower has made combing my hair about a billion times easier. I would repurchase it for that reason alone. 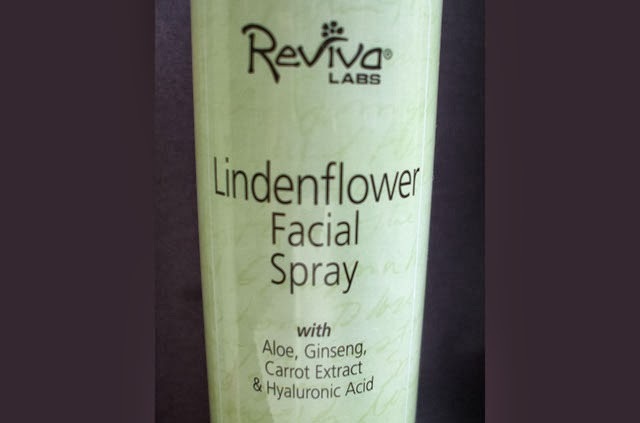 Natural extract of linden flowers makes this Facial Spray very refreshing and stimulating. Helps moisturizers and night creams have better effects in making skin look better with makeup, or "setting" makeup; you'll find dozens of other uses. For male and female athletes, this mist is a great refresher and cleansing aid. 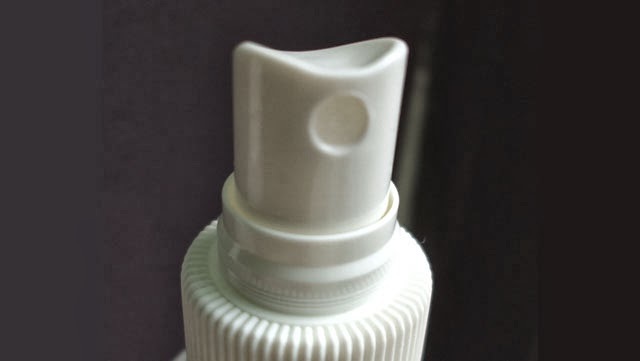 Distilled Water, Glycerin, Polysorbate 20, Hyaluronic Acid, Aloe, Ginseng Extract, Linden Extract, Carrot Oil, Carrot Extract, Carotene, Fragrance, Tocopherol, Potassium Sorbate, Sodium Benzoate, Citric Acid, Zinc Sulfate. I think this would also be suitable as a toner/softener, though this feels lighter on the skin to me than the rosewater variety. I'm not sure what lindenflower is supposed to smell like, but this spray seems less overtly floral than the rosewater one and more "earthy". At first I didn't really like the scent, but it has grown on me. I'm noticing that the label on this variety lists the ever-mysterious "fragrance" in the ingredients... I wonder what's in it? I feel like I detect a note of sandalwood, but my nose may be playing tricks on me. As a skin refresher this also works great, and much like the rosewater spray, it's a bit too wet for setting makeup. It's not as moisturizing as the rosewater variety, but it still provides a bit of hydration. I like this one less as a hair detangler spray though. First and foremost, I feel like it's important to point out that these sprays both have heavy floral scents. I know that isn't a problem for some, but if you're the type who sneezes when anything scented comes into contact with your face then you probably won't like this. It's not awful, but I wish it dispensed the product more finely. One major selling point of these facial sprays is that you get a relatively large amount of product for a low price. Both of these mists cost US $6.30 for 8 oz (236 ml) of product. Considering that a lot of facial mists come in a smaller size (usually around 100-150 ml) and cost more money, I would say that this is a great deal. This is cheap enough that I don't feel like I'm "wasting" it if I use it as a body spray. 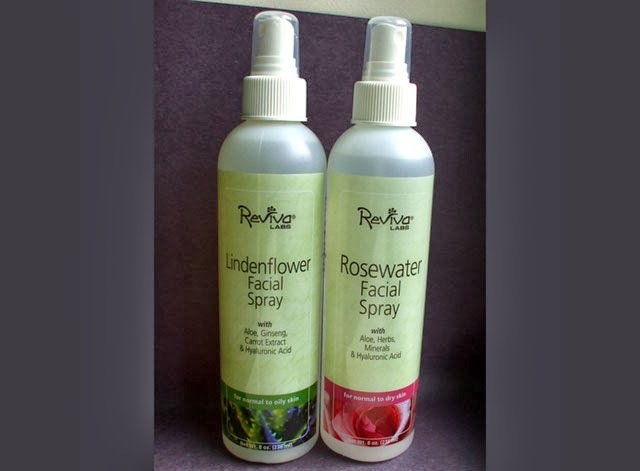 Bottom line: Reviva Facial Sprays in Lindenflower and Rosewater are hydrating and refreshing, and represent a great value for the price. They might also be suitable for use as toners/softeners and hair detanglers. I think there are better mists out there for setting makeup though. Where to buy: I got both the Rosewater and Lindenflower sprays off iHerb, which is US-based but does ship globally. I think their international shipping rates vary a bit from country to country, but they start as low as US $4 so it might not be prohibitively expensive even if you're overseas. Do you use facial mists? What are your favorite types?